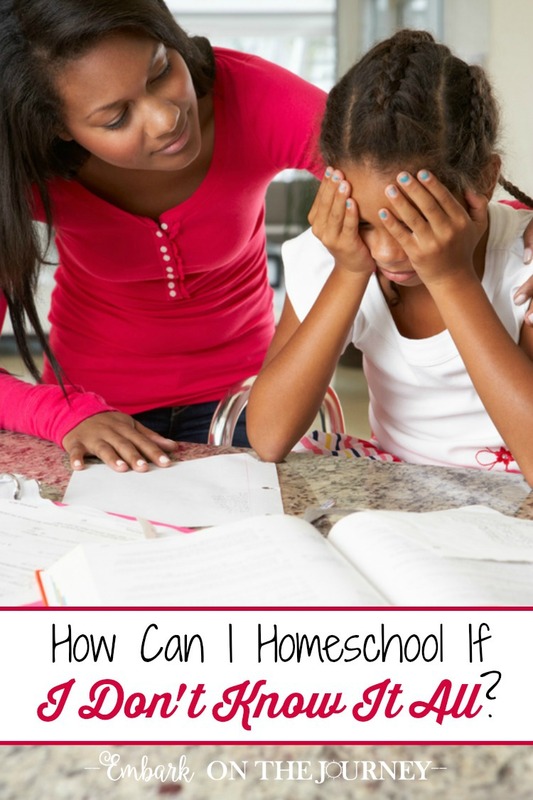 New homeschool moms have many questions and concerns. One I hear over and over again, and one I had myself when I started out, was whether or not I was capable of teaching my kids everything they need to know. How high could I take my kids in math? How could I teach chemistry when I didn’t take it myself? How can I homeschool if I don’t know it all? I went to college and earned a teaching degree several years before I started my homeschool journey. I kept hearing over and over again how easy homeschooling was going to be, because I was a “real” teacher. Let me tell you how wrong “they” were. 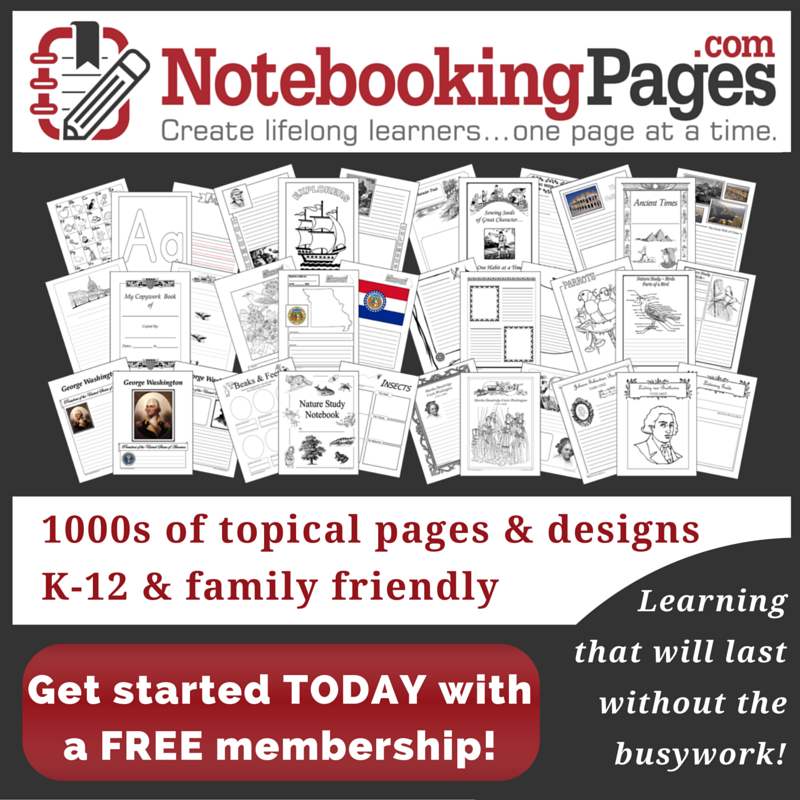 When I came home to homeschool my kids, I became solely responsible for their education. I wasn’t just teaching third and fourth grades (the ones I’d taught in public school). I was responsible for K-12!! That’s a heavy burden to bear. Could I really teach them all they need to know? No. I can’t. And, neither can you. Guess what? Neither can the public school system. There isn’t any one person who can teach your child everything they need to know. It takes a village to raise a child, right? So, how can we educate our children on our own? Publishers have made our jobs so much easier. There are so many choices for curricula that are scripted for parents who need a teaching aid. I’ve used quite a few of them over the past thirteen years. When my kids were younger, I used Saxon Math and Saxon Phonics – both of which are scripted. I currently use Rod & Staff English which is scripted. Using a script doesn’t mean I don’t know what I’m doing. It just gives me a little confidence to know I’m not leaving anything out. What if you just can’t teach a particular subject? Latin! Latin is my demise, but my daughter really enjoys it. So, we use a DVD program. All of the lessons are taught on DVD, and I use the teacher’s guide to check her work. Our higher-level math books come with a solutions manual which shows each step of the problem being worked. When my kids get stuck, I can cross-reference their work with the solutions manual to see exactly where they are getting confused. Co-ops are a great way to take advantage of classes and opportunities taught by someone else. Some co-ops require the homeschool parents to take turns teaching. This is an opportunity for your child to learn under someone else. Some co-ops charge tuition, and the parents aren’t required to teach. This is a great way to outsource a course that you don’t feel comfortable teaching. Not so good with math? Is there a class your child can take that’s taught by someone else? I’m hoping to send my daughter to our local co-op when she gets to high school science so that she can have a real lab experience. Even with all of these options, will they ever really know everything? No. Know what, though? Homeschooled children have the opportunity to dive deeper into their studies than their non-homeschooled peers. They can dig deeper into Ancient Egypt that is their passion. My daughter decided to study biology in grades 2-4, because she is obsessed with animals. While we touched on other topics – astronomy, rocks and minerals, and a little bit of physics – I could let her go as deep into her animal studies as she wanted to. I knew that at some point, probably around middle school, we’d get back to a ‘regular’ science cycle. Will there be gaps? Yes! They’re unavoidable. Whether your child attends a traditional school or is educated at home, there will be gaps. There just is no way to teach them everything. The reality is, though, that it is our job to teach our children how to find information for themselves. Teach them to use the library system. Use the ever-expanding internet to answer questions. It’s impossible to truly master all of the new information and facts that come to light day after day. Your child, like mine, is likely to specialize at some point. They’ll develop a passion for a topic they desire to learn everything about. With other topics, they may only skim the surface of the information available. As long as they are progressing, don’t worry. Decide what you want them to learn. Create engaging lessons to teach with. Enjoy your homeschool journey, momma. Treasure this time you have with your children. You’ll likely find, as I have, that you will be learning right along with your child. You will be filling in your own gaps. I am so glad you decided to persevere instead of give up. Homeschooling has been such a blessing to me and to my kids. Thank you for your kind words, and I hope you will continue to visit. Blessings! I love this! We’re looking into homeschooling and this is my main concern with it – so glad to see it should be one! This is the one thing I struggled with when we first started homeschooling. I hate math with a passion, I was afraid of when my kids start getting into the harder maths like calculus, I never took it in college or in high school. I’m so thankful for resources like co-ops and math curriculums that guide the parents how to teach their children on subjects that they aren’t well versed in. Thanks for sharing this! ! Yes! So true. I always worry about gaps but don’t really think about the fact that they are progressing and diving deeper into non- traditional subjects. Great suggestions. Some subjects are just best done in a co-op or other type of community anyway even if Mama is an expert! Very inspiring! I don’t know how you do it everyday! Thank you for linking up at Funtastic Friday!